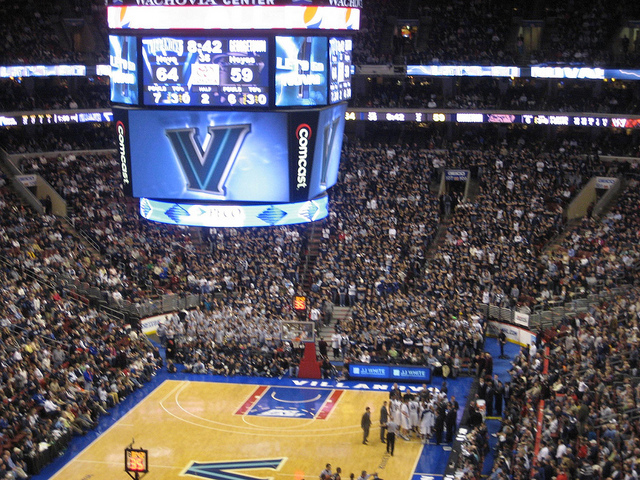 I shouldn’t like Villanova as much as I do, but I just can’t help it. The Wildcats have been a perennial top team in college basketball over the last few years and this may be Jay Wright’s best coaching job. So, because I’m not a huge favorite of the top seeds in this region, I’m picking Villanova in my Final Four. But can they survive in the first round against the spread? Here’s my best bets for the 2019 NCAA tournament in the South region. What are the chances last year will repeat itself? I have a hard time believing the Cavaliers will fall victim to another major upset. Virginia is still a really good team as evidenced by the majority of this season. Is Virginia good enough to win the NCAA title? Which team is going to show up? Both teams are capable of being solid on at least one end of the court. However, it’s what happens on the other end that will make a difference in this game. A lot of people are loving the Ducks. I get it. Oregon played a great conference tournament. They have serious talent. And their coach is one of the better ones in the country. However, Oregon has underachieved for a reason this season, and much of that is due to a bad offense. And against the Badgers, which boast the 10th-ranked defense in efficiency, that is a major problem. There aren’t a tone of upsets I am writing in pen this year. But this one is it. Dean Wade makes the Wildcats go. And he’s doubtful to play in the opener. That’s a major problem for a team that relies on its physicality to win games. Oh, and they’re only playing against a team that is the oldest in the tournament. They have experience and a defense that ranks in the top-15 in the nation in efficiency. Oddsmakers must not like the Wildcats as much as I do. Villanova struggles a bit on defense, but the offense remains a constant for the Wildcats. Meanwhile, St. Marys also will come with a solid offense. This is a battle between two teams with opposite identities. Purdue has been one of the nice surprises this year out of the Big 10 with offense. Old Dominion doesn’t play any offense, but they can play defense. However, when looking at a mid-major going against a power-five team, I value offense. The Boilermakers have enough talent that Old Dominion’s defense won’t be able to keep up. And Old Dominion just won’t be able to score to keep up. It seems like many are already dismissing the Hawkeyes. The Bearcats are basically playing a home game and the Hawkeyes have looked abysmal at times late in the season. But oddsmakers aren’t as sure as the public. There’s a reason why this game is only at 3.5 points. Iowa still has an offense capable of keeping up with the Bearcats, and the Hawkeyes have had a flair for the dramatic this season, keeping many games close. Tennessee has been one of the best surprises this season in college basketball. So why is basically no one talking about the Volunteers as a national title contenders? We just haven’t seen Tennessee prove it at the NCAA tournament. And while this is a new team, old habits die hard. Both teams are going to play plenty of offense, so it’s likely the Volunteers will win. However, Colgate will be able to keep up. This game will be close for much of it, with Tennessee pulling away late.